As coaches, were all familiar with the greatest fear of a team who can’t shoot the three – the 2-3 zone. And while you can beat the 2-3, 1-3-1, or 3-2 zones with swift ball movement and solid decision making, there is no denying that the ability to shoot the three ball well makes it quite a bit easier. 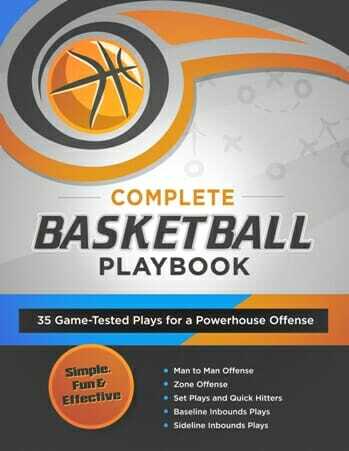 That’s why it’s important to spend a good amount of time shooting the three ball in practice every day, because whether you want to take ten a game or thirty a game, hitting it a high percentage is going to make your offense run smoother. 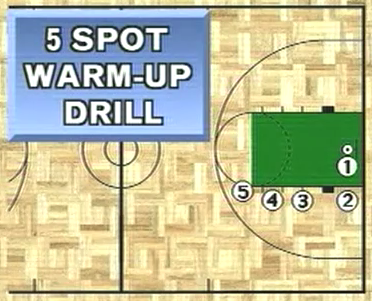 Players will often come into the gym, and start jacking up three’s without a second thought, ignoring the importance of a good warm up in close before moving out to distance. 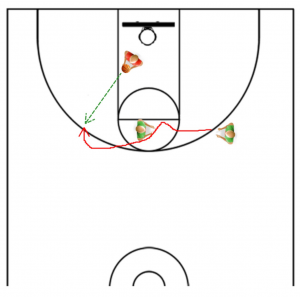 Instead, get them to come in and hit two shots from each of these five spots: right next to the rim, the short corner, just above the block, mid key, and at the elbow. And if you really want to challenge your guys, tell them they need to get two swishes before they can move on. This drill is great for reinforcing the player’s shooting fundamentals, letting them focus solely on form. For instance if one of your players has their guide hand to involved in their shot, with their guide hand behind their back, forcing them to use just their shooting hand. Giving players small tips to focus on – say using their legs, or keeping their elbow underneath the ball, will give them a great opportunity to work out the kinks in their mechanics before moving to the deep ball. On my teams, we always try to make a habit of taking the same shots in practice that we want to take in games. And this is why instead of running three point shooting drills where my players are stationary, catching and shooting the ball, or dribbling up the court to shoot a three, we run drills where we take the three off of a screen, ball movement, or a post entry. 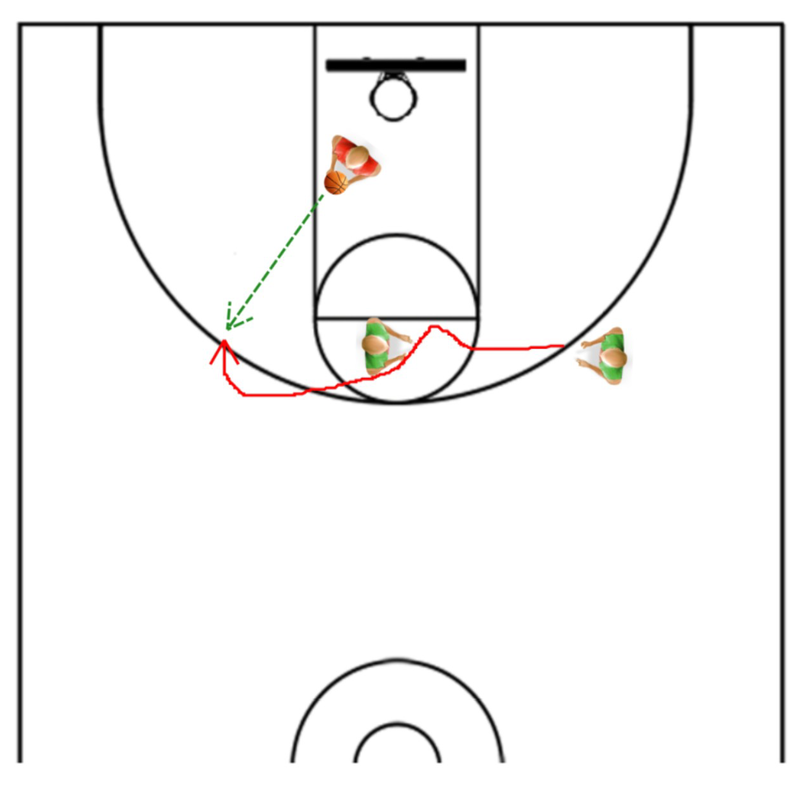 My favorite is this flex screen drill, with the passer stationed on the wing, a screener set at the top of the arc, and a line on the other wing. Players will then sprint out of the line, either curling around the screen at the three point line or stepping away for the fade. 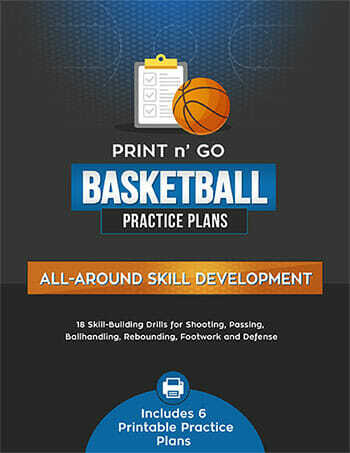 This gives players a chance to mimic a game situation, reading the defense and making the appropriate cut. 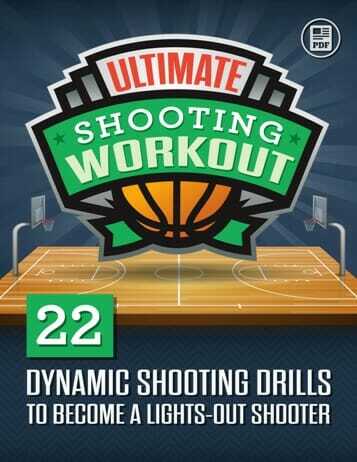 And if you’re looking for more shooting secrets, make sure to check out this post on key fundamental shooting tips!